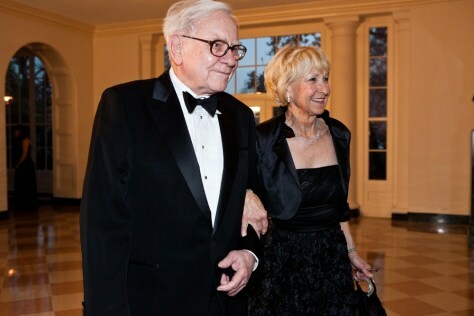 Warren Buffet and Astrid M. Buffett arrived for a state dinner at the White House on March 14, 2012 in Washington, DC. The Glide Foundation has received the highest bid so far for a lunch with Buffet -- $3.5 million. One winner later got a job.